Soret will talk about climate innovation and how climate services can help key sectors of society such as renewable energies and agriculture to adapt to climate variability. 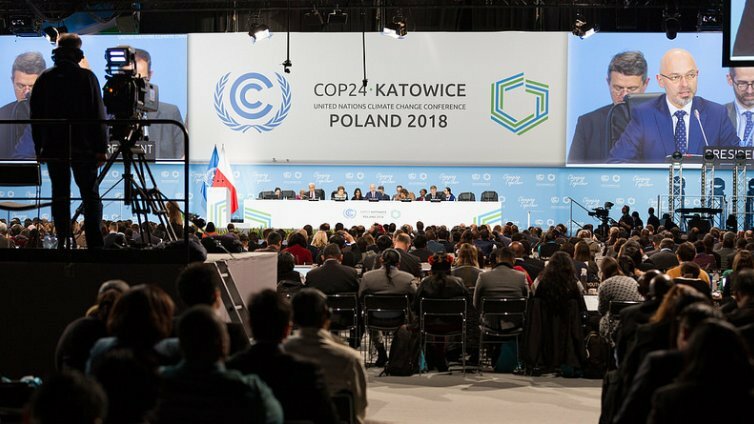 The Barcelona Supercomputing Center (BSC) researcher Albert Soret will participate in the 2018 United Nations Climate Change Conference COP 24, to be held in the Polish city of Katowice from December 2 to 14. The Conference brings together all countries that are part of the United Nations Framework Convention on Climate Change, as well as numerous NGOs and experts in the field. It is in charge of maintaining international efforts to solve the problems associated with climate change and examine the implementation of the agreements and commitments of the parties, based on their objectives, the experience gained and the new scientific discoveries. In this edition, attendance is expected for more than 20,000 people. Albet Soret will talk about climate innovation and how it can help develop societies with less carbon emissions and more adapted to climate variability. He will also emphasize the importance that science collaborates with the administrations and with the companies to implement practices to reduce carbon emissions and help companies and administrations to be prepared for the climatic changes that will affect the areas in which they develop their work. Soret's intervention will take place within the program of parallel events organized by the European Union to bring together the latest developments in the sector. Specifically, he will speak in the session entitled "Climate innovations for low carbon and climate-resilent transitions", which will take place on December 5 at 4 p.m. in the European Conference Hall. Albert Soret is a PhD in Environmental Engineering from the Universitat Politècnica de Catalunya and the Earth System Services group coordinator. It is an interdisciplinary group formed by a total of 23 experts in climate and air quality that includes: engineers, physicists, social scientists, communication experts, economists, who work together to give an integrated vision of the work done. Its research helps the transfer of technology to advance sustainable development in key sectors such as energy, urban development, infrastructure, transport, health and agriculture, and water management. He is the principal investigator of the S2S4E project (EC-H2020). Member of the Clim2Power External Consultative Board (ERA4CS). Work package leader at Clim4Energy (Copernicus), VISCA (H2020) and MAGIC (Copernicus) and also participates in EC-FP7 and H2020 projects: NEWA, EUPORIAS, MEDGOLD, SPECS, IMPREX, SPRING and APPRAISAL.